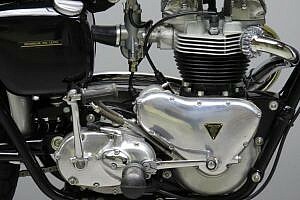 International Six Days Trial successes in the late 1940s prompted Triumph to adopt the ‘Trophy’ name for their off-road-styled twins. 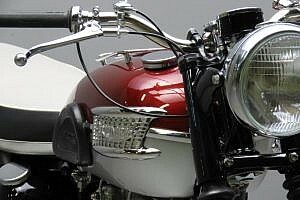 The genesis of the model came with the introduction of the 650cc Thunderbird Model in 1950. 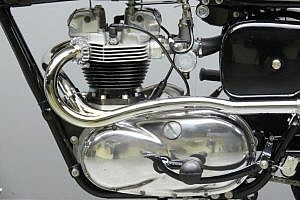 This was released to meet the demand for higher-capacity motorcycles, particularly from the United States, Triumph’s largest export market. 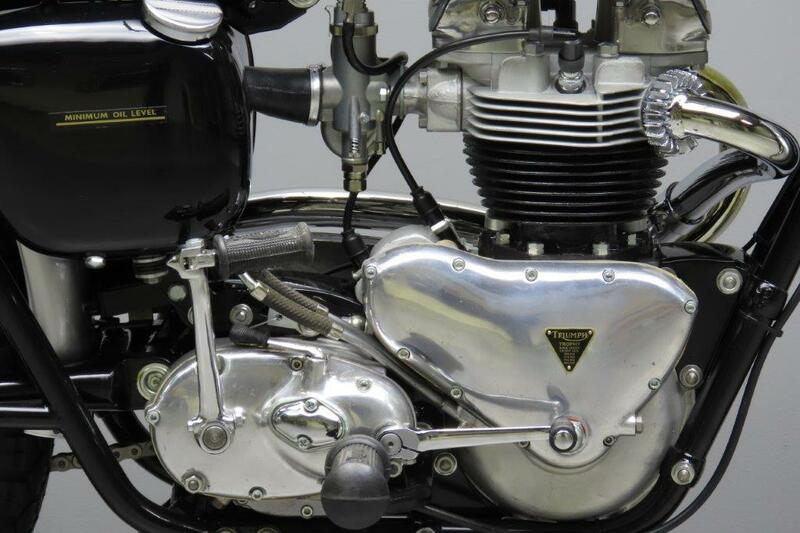 In 1954, the T110 model was introduced, a higher performance version of the Thunderbird. 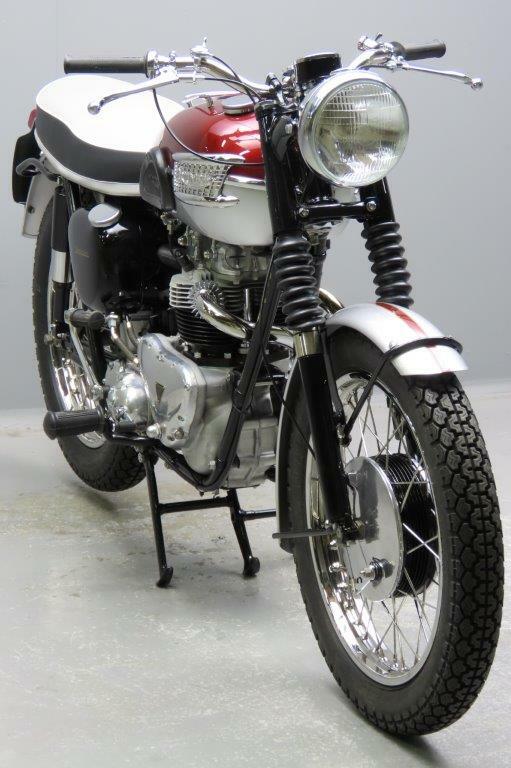 The success of these models and the 500cc TR5 Trophy led to the creation of a 650cc TR6 Trophy model. The TR6 was developed and produced specifically for the US market. 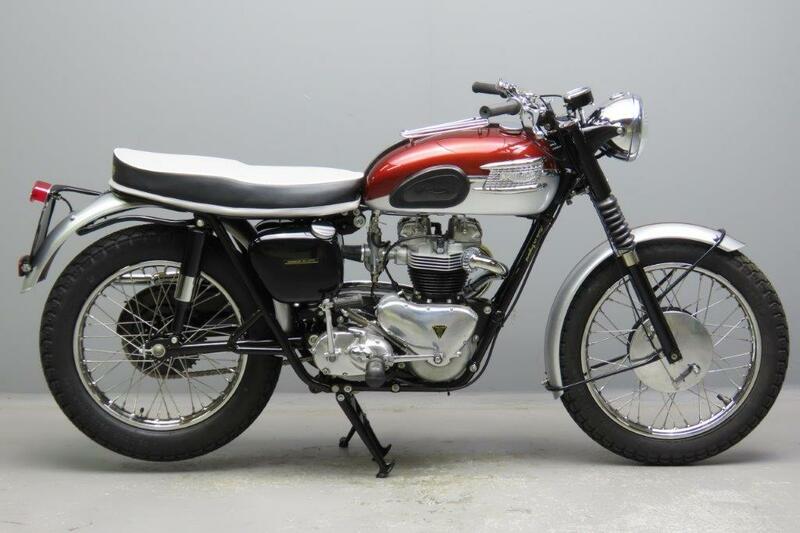 The competition variant, popularly known as the “desert sled”, won numerous competitions throughout the late 1950s and 1960s. 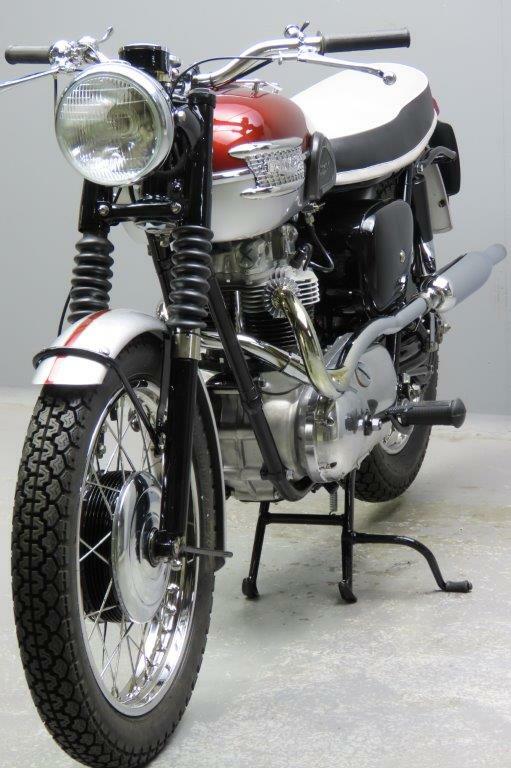 The bike’s appearance in The Great Escape and Steve McQueen’s fondness for the model are well known. 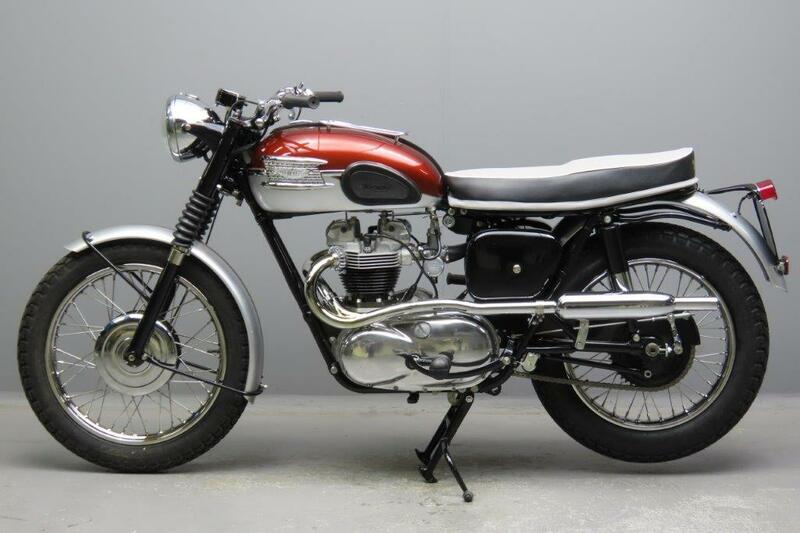 Although not quite as quick as the Bonneville the Trophy is considered by many to be Triumph’s best all-round 650cc model. Introduced for the 1962 model year and offered through 1966 was the TR6SS model, which sported a two-into-one exhaust, but was otherwise similar to the road model. For the 1962 model year 1266 TR6SS machines were built. The one we offer here has matching frame and engine numbers and was manufactured on November 2, 1961. Three days later it was despatched to the Triumph Corporation of Baltimore, USA. The bike has been restored impeccably and comes with Dutch registration documents.